This bold and beautiful Two-Tone Wire Bangle features both Sterling Silver and 14K Gold Filled wire in a distinctive design. 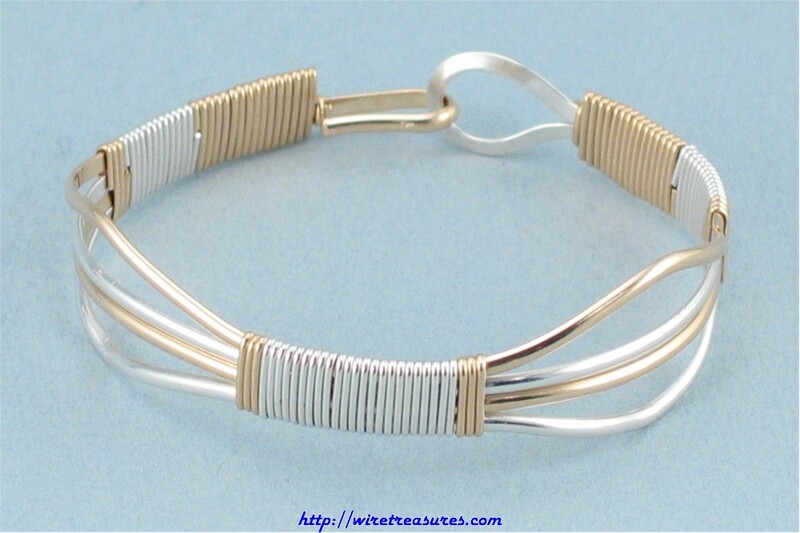 The heavy wire will feel good on your wrist, but more important, it will LOOK terrific on you! This is a Sara Adams (no relation) design. Wrapped in 14K Gold Filled and Sterling Silver wire. You are visitor number 6,359 to this page.